IBM revenue for the second quarter of 2014 decreased 2% to $24.4 billion (about £14.26 billion, AU$26 billion) compared with the same quarter last year. However, the company's mobility and cloud businesses doubled 100% and 50% respectively. Second-quarter net income increased 28% to $4.1 billion (about £2.41 billion, AU$4.37 billion) compared with the second quarter of 2013. IBM's services division revenues decreased 1% to $13.9 billion (about £8.12 billion, AU$14.82 billion). The business services unit, more specifically, saw revenue decrease 2% to $4.5 billion (about £2.5 billion, AU$4.77 billion). The company's software division generated a revenue increase of 1% to $6.5 billion (about £3.80 billion, AU$6.93 billion). Revenues from middleware products, including WebSphere, Information Management, Tivoli, Workforce Solutions and Rational products, were up 1% to $4.3 billion (about £2.45 billion, AU$4.53 billion). Business analytics and security revenues increased 7% and 20%, respectively, during the quarter. IBM recently announced a partnership with Apple that will reap big rewards for the business application developer. The exclusive partnership will infuse IBM's data and analytics tools into the iPhone and iPad. 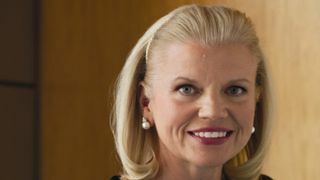 Revenues from IBM's hardware segment decreased 11% to $3.3 billion (about £1.93 billion, AU$3.52 billion) for the quarter. IBM recorded a 1% decrease in revenues for its System z mainframe server products. Revenues from Power Systems were down 28%, as was System x and System Storage, which witnessed a 3% and 12% decrease, respectively. Flash storage grew more than 100%. IBM recently said it would invest $3 billion (about £1.75 billion, AU$3.20 billion) over the next five years in research and development to "push the limits of chip technology with a clear focus on big data and cloud computing." The company loses $1.5 billion (about £880 million, AU$1.6 billion) each year on its chipmaking business. IBM is looking to move away from hardware. The company recently sold its low-end server unit to Lenovo, a deal that is currently being reviewed by the federal government. IBM is also reportedly nearing a deal to sell its chip-making unit to GlobalFoundries. The company has been active in bolstering its cloud business. IBM recently released an upgrade to its Connections cloud and on-premise software designed to aid organizations in internal and external collaboration. In March, IBM acquired database-as-a-service provider Cloudant. IBM's security and mobility services have also taken on a bigger role. In May, BlackBerry teamed up with IBM to allow IBM to directly manage devices running the BlackBerry 10 operating system. Earlier this year, IBM launched QRadar Incident Forensics, a tool designed to help security professionals retrace the steps of cyber criminals. What are IBM's predictions for 2016?